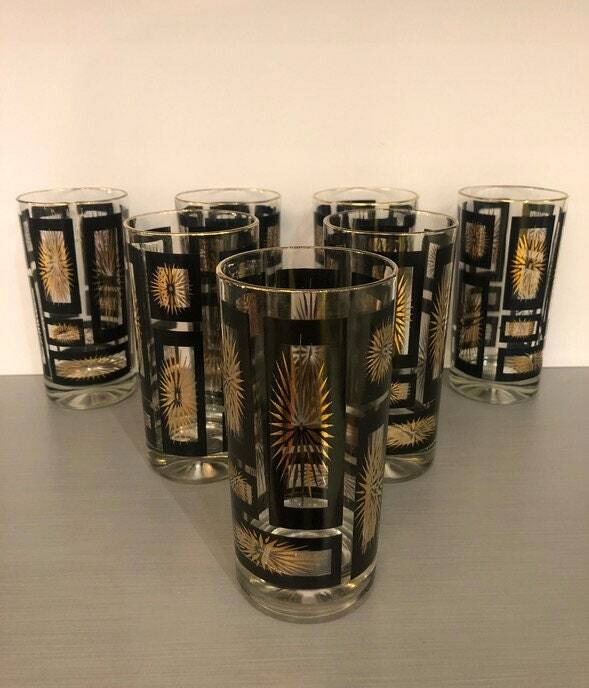 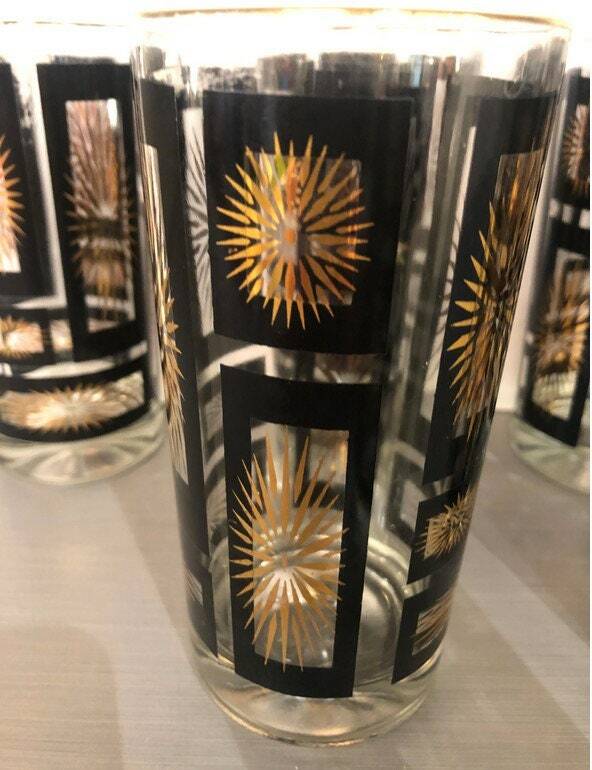 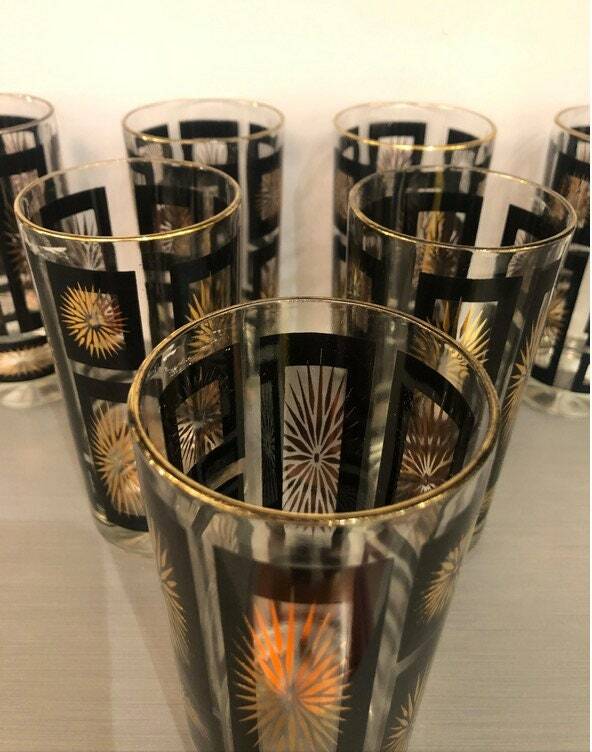 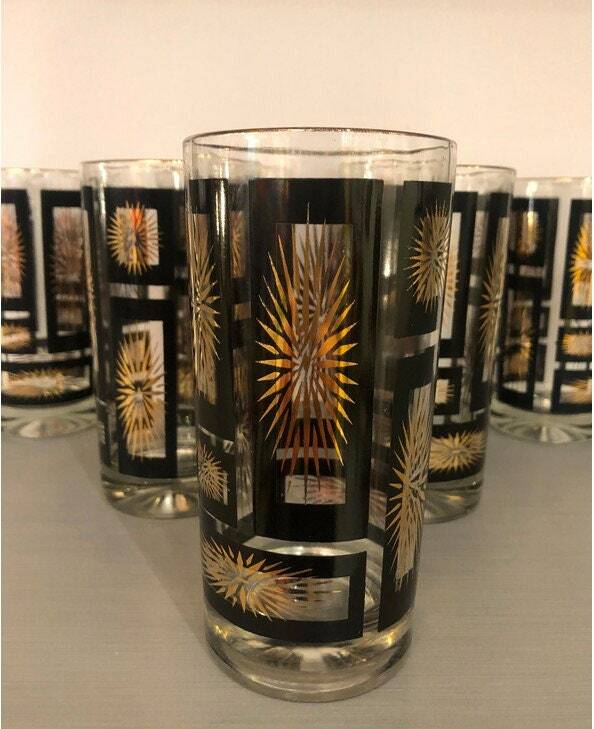 Stunning rare to find set of 7 mid-century stardust gold and black highball drinking glasses. 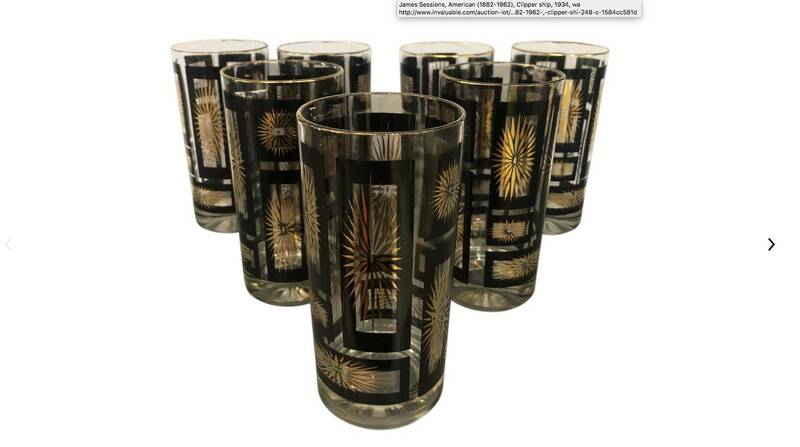 Magic Hill policy: case by case refunds. 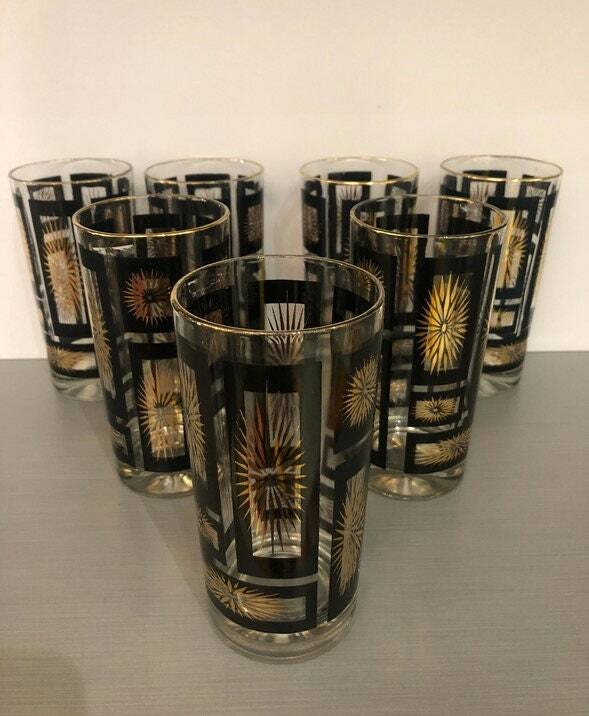 FedEx, UPS, Post office, white glove service. 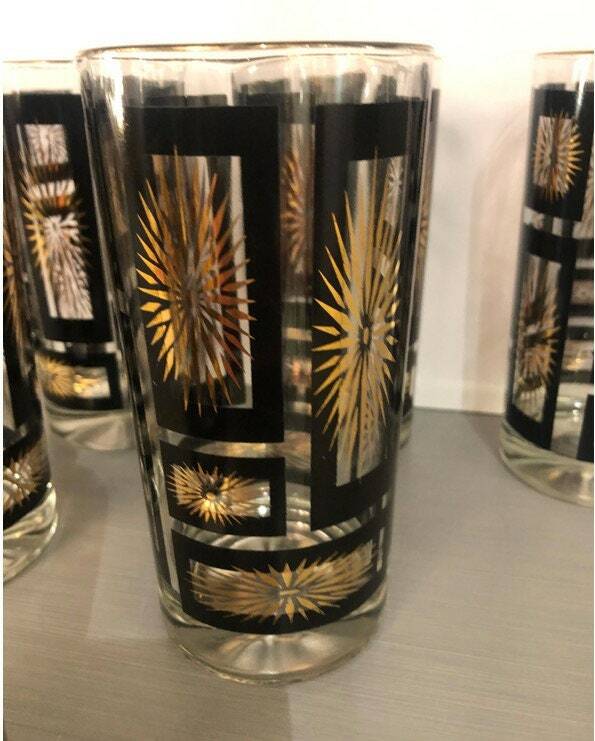 Once we receive the returned item we will issue the customer a refund.